Akron Welding - Go Media™ · Creativity at work! 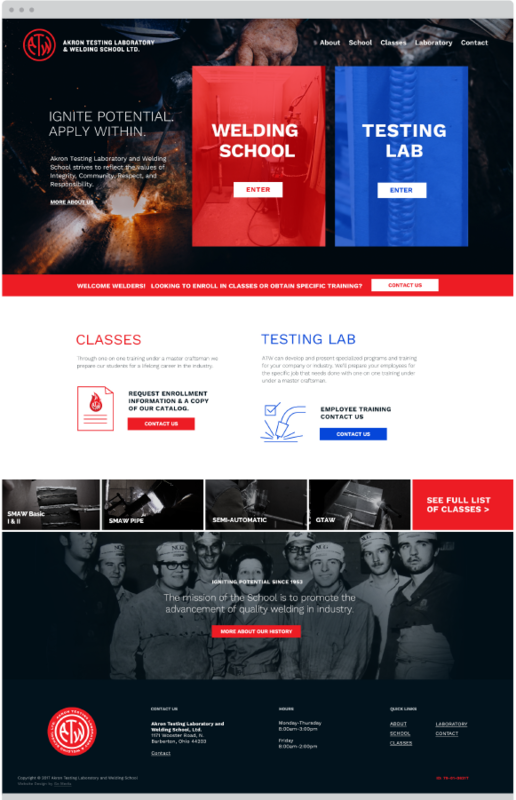 The Akron Testing Laboratory & Welding School is a family owned and operated business that has been in existence since 1965. 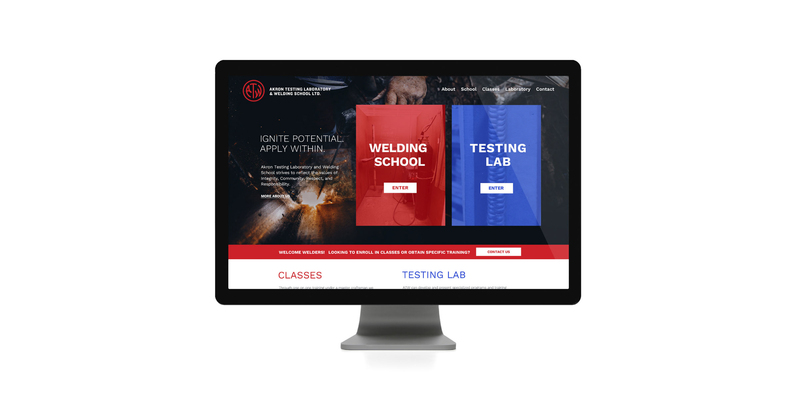 ATW serves its local community with a goal of sharing the knowledge and expertise of master welders with students looking to start, or improve their career in the field of welding. Although they have a long history of success their website wasn't doing anything to support it and it was time that changed. Go Media had the pleasure of bringing their dated website to present-day on a platform that will sustain the growth of the business for years to come. Included in their project was a logo refresh to help give ATW a facelift all across the board. One of the primary goals for the ATW redesign was to get the outdated site on a responsive platform to reach a broader audience. Go Media's Designer Sites makes controlling your website on all devices simple. As part of the new website, a logo refresh was in order to bring the ATW brand to the present day and give the client the necessary tools to grow the brand. Below you'll see the original logo mark that dates back to the 70s, and the updated rendition of the mark. Maintaining the integrity of the original logo was important and although the primary mark was straightened to make it stronger, a specialty flame logo was created to fully lean into the flame motif.